EPF composite claim forms Aadhar and Non-Aadhar are used to claim PF amount, pension amount and PF advance amount. Composite claim forms are the replacement of PF forms like PF form 19, PF form 10C and PF form 31. Earlier all PF members needed to fill three types of forms for PF and pension withdrawal, for example, form 19 for PF amount withdrawal, form 10c for pension withdrawal before 10 years of service, form 31 to withdraw the advance amount from PF. EPF composite claim form Aadhar is used to claim PF amount when KYC details of employees such as aadhar and bank account number are linked with UAN number. 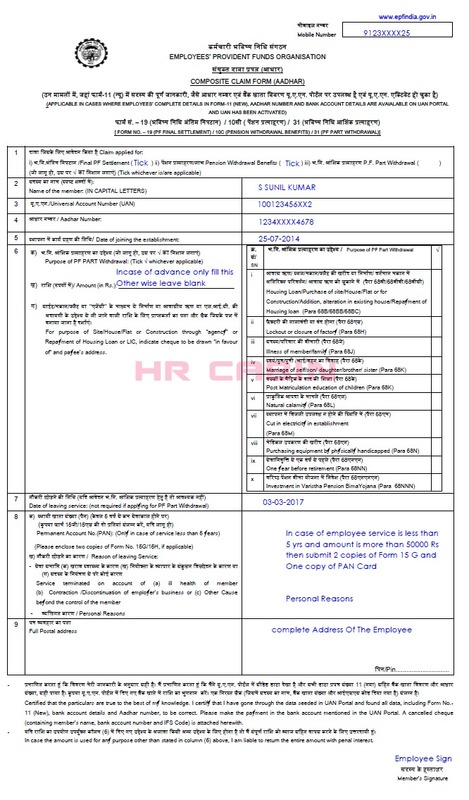 This form doesn’t require employer attestation. EFP composite claim form non aadhar is used to claim PF amount when KYC details of employees are not linked with the UAN number. This form requires employer attestation. 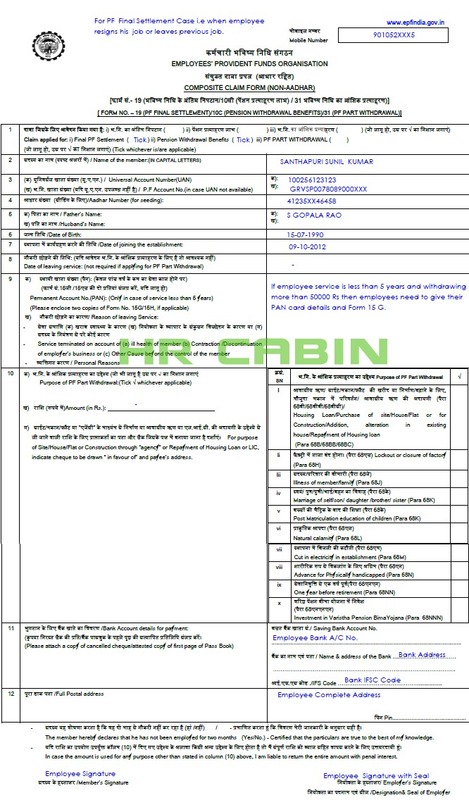 EPF composite claim form non aadhar need to be submitted when employee KYC details are not updated with their UAN number. My actual date of leving previous company is X SEP 2017 and joining new company was in OCT 2017. But previous company has updated DOE as X AUG 2018. And so am unable to merge previous and current companies PF amount. Regarding this I have raised grevanc and I was asked to submit Composite Claim Form along with 2 copies of form 15G and a canceled cheque for settlement of previous companies PF amount. So what I want to know is. Is this process going to work for withdrawal of previous companies PF amount.? Please let me know and advice if any better solution is available..
First, claim your previous PF account with the above procedure, once you get the previous claim amount then you can continue or withdraw present PF account.